This post brought to you by Sparkling Ice. The content and opinions expressed below are that of Sugar & Soul. 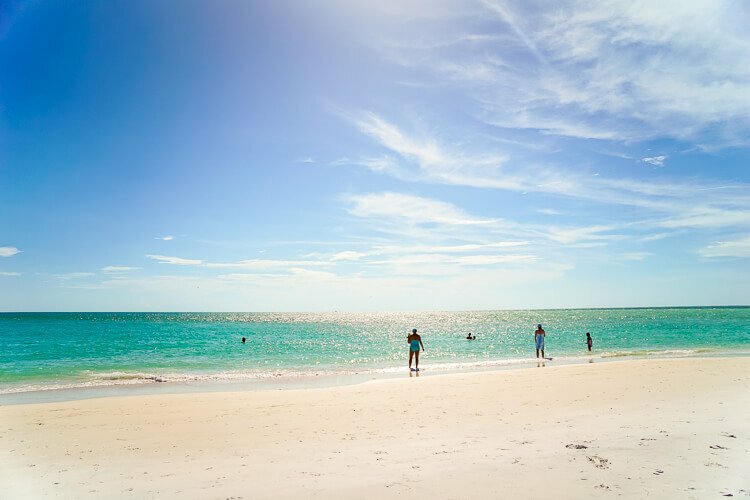 Looking for the perfect spot to spend a day on Anna Maria Island, head to Bean Point for one of the most beautiful beaches in the country! Every now and then, we could all use a good beach day, am I right? In fact, when the beach looks like Bean Point, every day should look like a beach day. Bean Point is on Anna Maria Island on the Gulf Coast of Florida. I haven’t been to a lot of beaches, but I think I can confidently say that this one has to be one of the best. 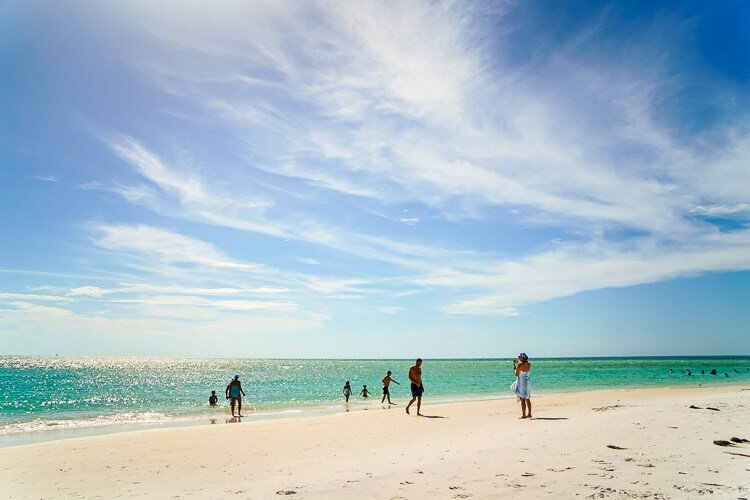 When the girls and I were spending a few days on the island a couple of weeks ago (you can read about our whole trip to Anna Maria Island), we knew that Bean Point was an afternoon must in order to counter the thick air of the south in the summer. 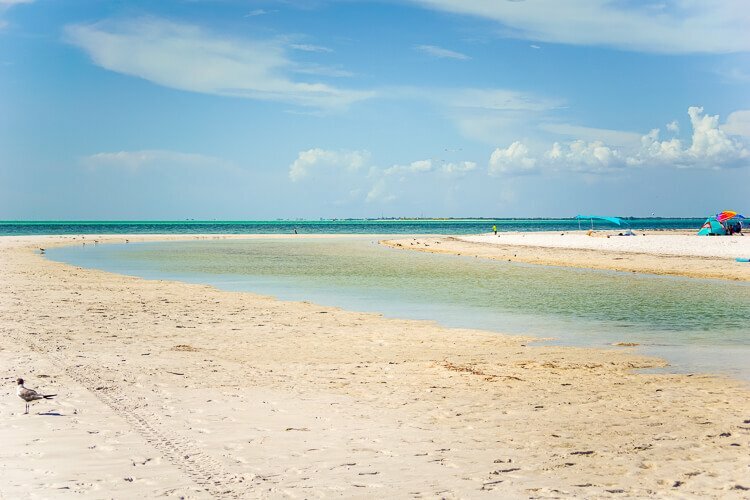 The beach is a bit of a walk in from the street, but when you come upon the white sand and the turquoise water, it’s like a peaceful afternoon is just rising up to greet you. So we packed our beach bags with all the essentials: sunscreen, towels, hats, sunglasses, and of course, snacks and Sparkling Ice Lemonades. 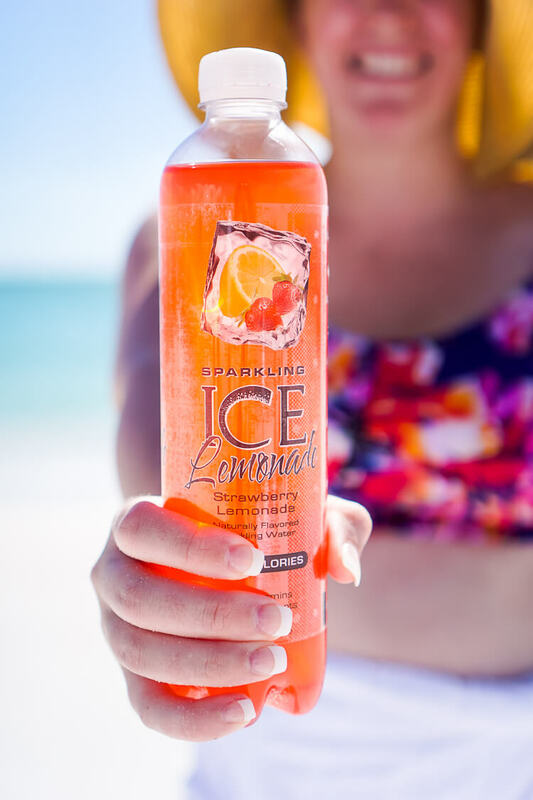 Sparkling Ice’s line of waters, teas, and lemonades are bursting with real fruit and just the right amount of Fizz, making the perfect on the go drink for summer. 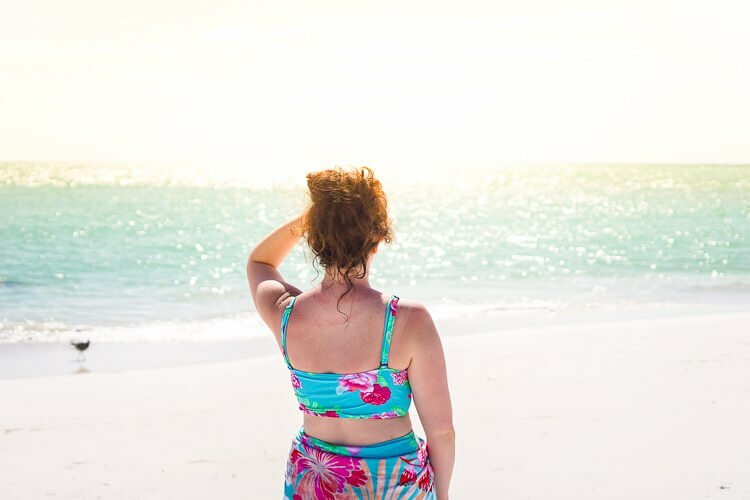 Check out my full list of What to Pack for a Beach Vacation. The tide was out when we got there and it left a strip of ocean water in the sand that was piping hot to walk through. But once we were on the other side we laid out our towels, popped open our umbrellas and reveled in the excitement of a good ole fashioned beach day. 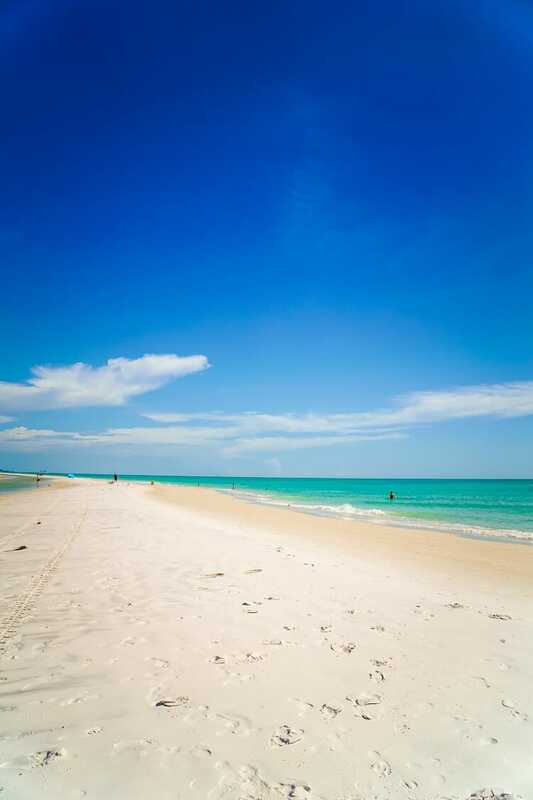 The saying goes on Anna Maria Island that there are not Bad Days, only Beach Day. Anna Maria Island is known for their manatees, and we were fortunate enough to see one. We named him Max and he swam up and down the beach the majority of our time there, he swam through our party and even though they’re harmless, there’s something a little daunting about a giant dark shadow swimming directly at you in the water. Even though I’ve been to Anna Maria Island several times in the last decade, this was my first time visiting Bean Point and now it will be a priority each time I come back! 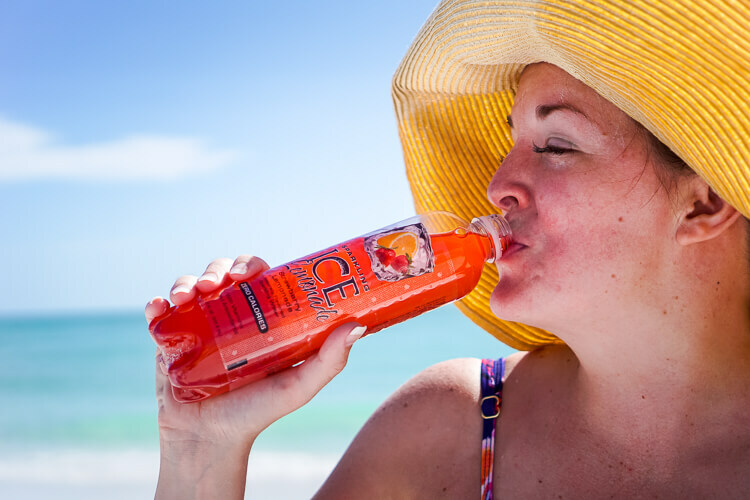 A gorgeous beach day was exactly what I need to flavor up my summer beach trip with the girls, how will you Flavor Up your summer with Sparkling Ice?